This entry is LONG overdue. When I last wrote, I was just hours from starting the event that would make me a Super Randonneur, the Suffolk-Lake Gaston-Washington 600km brevet. I still had some nagging knee discomfort from the previous month. 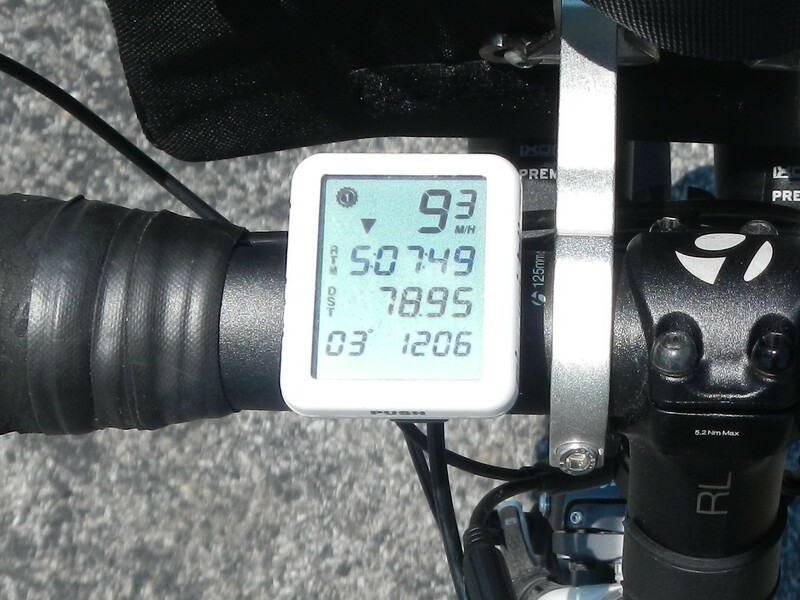 But I felt I could manage it throughout the ride if I could keep my speeds in check. I first mentioned my knee pain after riding the MS-150. However, the initial injury happened while overexerting myself early in the Tour de Cure late in April (no blog entry). I had taken a week off here, two weeks off there, and then a slightly longer break before the 600k in June, all in an attempt to let my knee heal or recover. The pain returned at varying distances into each ride, even when I took it easy. Regardless, I had a goal to complete the 600k and wasn’t going to let mild knee pain stop me from at least trying. Once again, I stayed at the host hotel to simplify my morning. I enjoyed a good meal the evening before the event and got plenty of sleep. Seventeen riders lined up to start at 6:00am, just before sunrise. For the 400k, I mentioned that the pace was surprisingly tame. That was not the case for this ride. The group stayed together, but we cruised at around 18-20 mph after a brief warm-up. I got a little tired of that after about 20 miles and backed off. I was feeling the early hints of knee pain and didn’t want to overdo it. It was warmer than on the 400k, so I wanted to keep some energy in reserve, too. I regrouped with some riders when we got to Boykins. But we didn’t stay together for long. My knee was bothering me, but I was still able to ride and maintain a decent pace. I grabbed my requisite footlong sub at the control point in Skippers (65 miles) and continued. I had hoped to still be with the group at that point, leave ahead of them, and then maybe have them catch me in the hills. That plan would have had me somewhat close to other riders after the most challenging terrain of the ride. However, it didn’t work out that way. My knee had started to bug me at around 35 miles. It was a little worse at 65 miles. I popped a pain reliever. My knee really started to bother me as I entered the hills at 75 miles. It was also getting hot. I had plenty of time to look at my thermometer as I ground my way up the hills. The forecast said it was 98 degrees with a “feels like” of 102. My cyclocomputer said it was 103 degrees (“03°” in the photo at right). I’m sure the sunshine had a little to do with it. Regardless, it was undoubtedly hot. I usually ride well in the heat, but my knee was really distracting me. 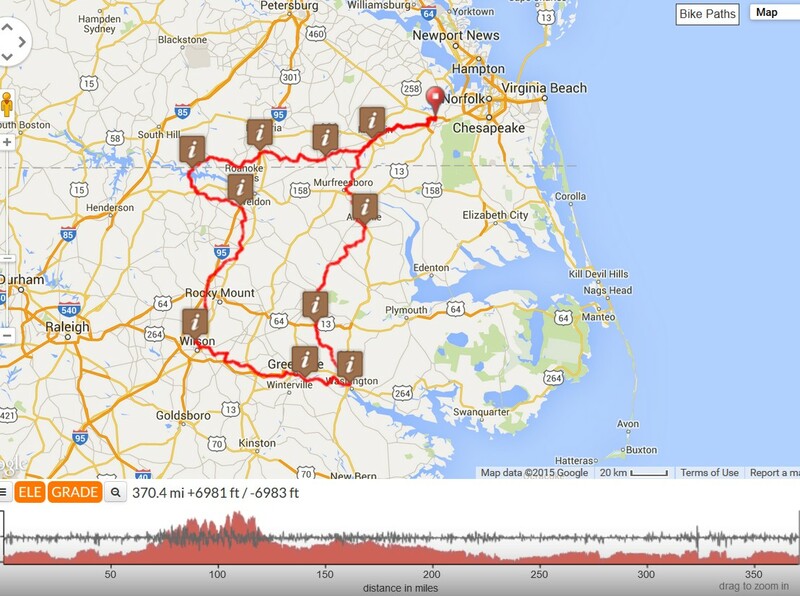 The worst climb was around 112 miles. Mind you, it was “only 4%,” but I was really feeling it in the knee at that point. I couldn’t even stand up to enjoy the descents; it was too hot to cool off on the descents, anyway. Eventually, I was caught by Bob, who had ridden with me on other rides. We rode together for a bit; then I fell back. I stopped for a breather and to rest the knee. While I was stopped, I decided it was time to reapply my sunscreen. That didn’t go well. The humidity ensured I was so covered with sweat that the sunscreen just dribbled right off. Unable to dry off, I dismissed the problem and continued with my ride. I caught Bob at a control point near Halifax, NC. By then, I had decided it was time to call it quits. It was a tough decision for a few reasons: First, I was “just one ride away” from achieving my Super Randonneur goal. Second, I knew I was beyond the worst of the terrain and I knew I had passed the hottest part of the day. It was only going to get cooler, relatively speaking, as I continued. But the one thing that kept lingering in my mind was whether I might be on the verge of damaging something. I was already taking prescription pain meds (not the dangerous kind) and they were not as effective as on previous rides. Well, honestly, they weren’t effective at all. “Do I have a tear? Or perhaps a pulled tendon?” Being only 124 miles into a 373-mile brevet, I wasn’t willing to find out what was next. I gave Bob the news and sent him off without me. I felt bad for sending him alone. But he’s seasoned enough as a randonneur that I’m sure it wasn’t his first solo ride. Thankfully, my wife was already on the road and headed toward the overnight control in Washington, NC. She only needed to make a minor detour to get to me, so my wait was only an hour. While I was waiting, another rider arrived in Halifax. He, too, was dropping out. He didn’t say why, but he said it wasn’t because of the heat. We were not together long enough for a chat. I learned later that a third rider DNF’d elsewhere along the way. My wife and I continued to the overnight control. I had reserved a room and could not cancel. So we might as well stay the night, right? Besides, my drop bag had things I needed. We grabbed take-out from a local barbecue place and settled-in for the night. I slept like a rock! The following morning, we packed up and quietly headed back to Suffolk. I was certain the other riders had left the hotel by then. I saw a doctor about as fast as military medicine could schedule an appointment (10 days). I was pleased to learn that nothing was torn, especially since another physician who saw me in April thought I might be a candidate for arthroscopic surgery. Instead, I was prescribed two months of physical therapy. As my knee recovered, I came to a conclusion that I needed to make some adjustments to the bike’s fit. Although I could ride, I chose to avoid the bike with the hope that I might lose any muscle memory, giving my fitter a cleaner start, and to really let the knee recover. I took both bikes to Richmond and spent about two hours working with a 3Sports employee who’s commonly known as “Andrew the Fitter.” He prescribed another centimeter of saddle height and an extra 5-10mm of setback (5mm on one bike, 10mm on the other). 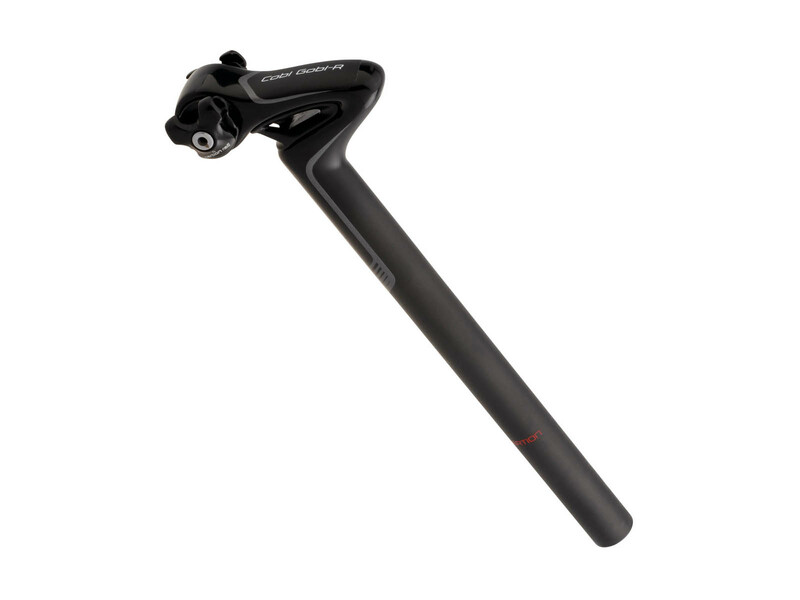 To achieve the additional setback, I wound up with a fancy carbon post by Specialized, called “CG-R” (formerly known as “COBL GOBL-R”, photo above). It touts 18mm of vertical compliance. It does take the edge off my aluminum CrossRip. So far, I haven’t road tested it on my Domane, a bike which already has exceptional vertical compliance. I’ve been on a few short rides (<25 miles) over the past three weeks. I’m still getting used to the new settings. I’m really out of shape, but I think the bike will continue to feel better as I regain strength and endurance. For now, I’m riding my heavier CrossRip, both to get used to the new settings and to increase my workload so I can get into shape faster. I’m riding in the Seagull Century in a few weeks. Odds are I will only ride the metric century. I’m not riding enough to be fully trained for a century. But I should still enjoy a 62-miler. I don’t expect to ride any permanents or other RUSA events for the rest of the year. But I hope to be in sufficient shape to take part in a populaire on January 1st. Time will tell if I can stay on track with my fitness plan. I’ll try for the Super Randonneur again next year. Glad you are on the mend. How was PT? Did you learn any new knee exercises? I just finished my PT and recovery from my April 28 shoulder surgery, and have been riding some since late June. I did manage a great ride at Hotter N Hell this year, which improved my spirits immesurably, as my distance goals are all shot to hell with the down time from surgery. Thanks, Vic! Actually, I haven’t learned any knee exercises. By the time I got to my PT appointment, there really wasn’t anything physically wrong with my knee. But my hips have been a wreck for a long time. The therapist recognized that immediately and we’ve been working on them since August. Hips really affect everything. It’s amazing to learn about all of the muscles, especially leg muscles, that I’ve forgotten how to use because of decades of using different muscles to subconsciously compensate for hip mobility issues. As for cycling, I hope to get my speed back soon. It’s humbling to be working to maintain just 15 mph. Groups rides are dwindling now that our days are shorter. So I need to find a way to keep improving over the winter.